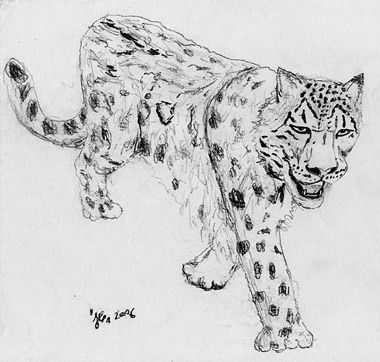 Snow leopard -sketch and a final Black Leopard -etching. 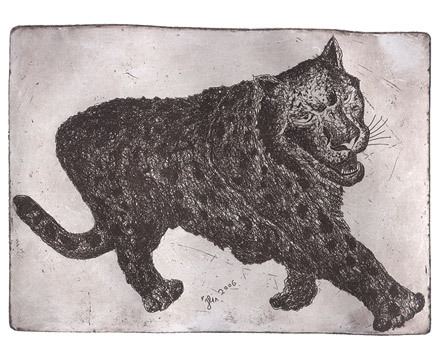 The etching was also supposed to be a snow leopard but I forgot it in the acid for too long a period and it became out as a black leopard :). 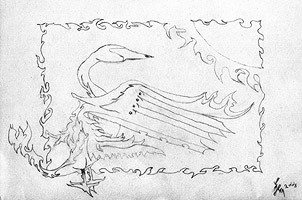 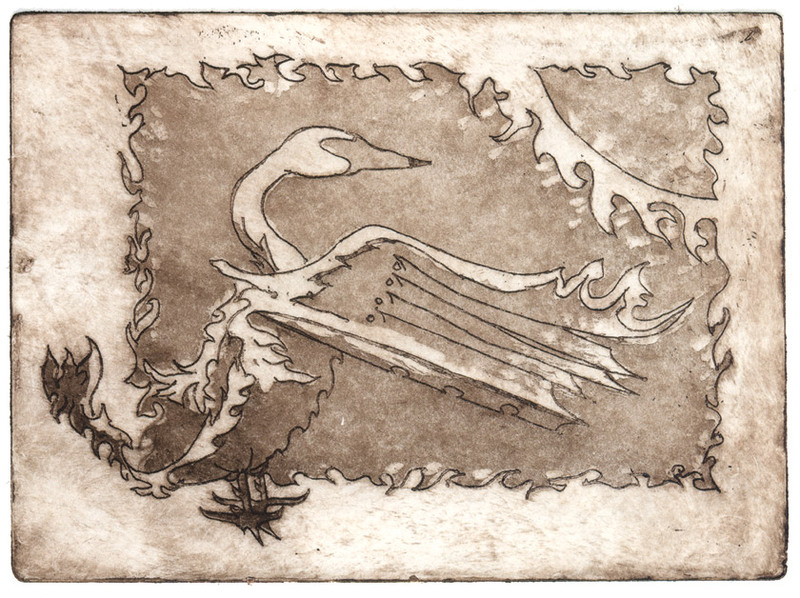 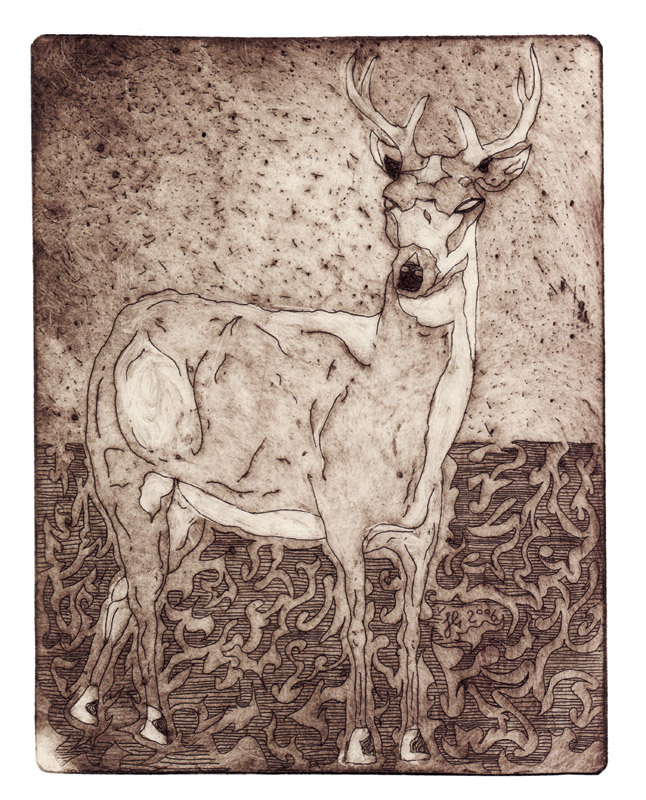 Etching 16×18 cm. 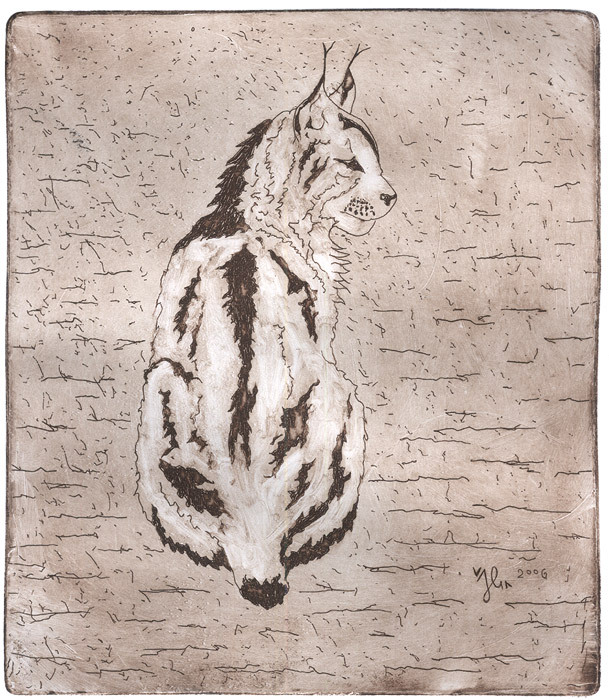 The graphic series has 8 prints and they are differently colored.